The State of Asian and Pacific Cities 2015 is the second such report published by UN-Habitat (the United Nations Human Settlements Programme) and ESCAP (the United Nations Economic and Social Commission for Asia and the Pacific). 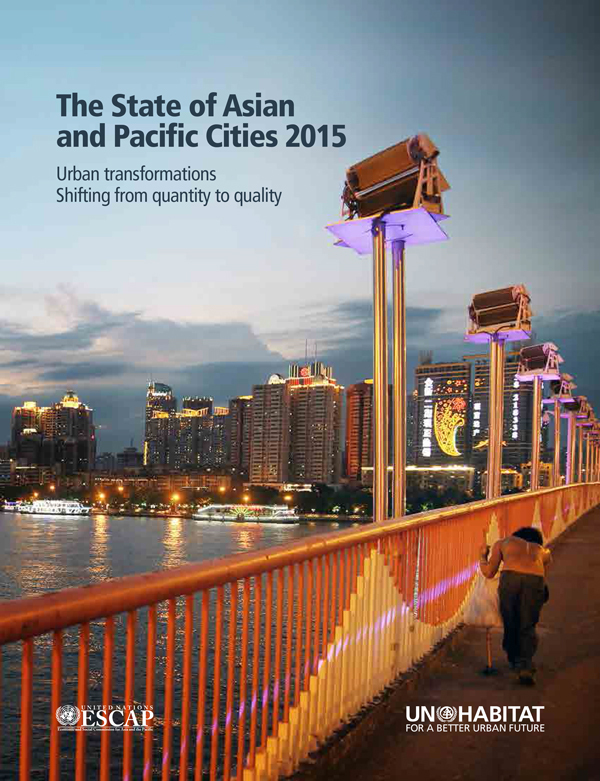 In capturing the region's rapid urban transformation The State of Asian and Pacific Cities 2015 highlights the growing gaps between current urbanisation patterns and what is needed to shift to a more inclusive and sustainable urban future, in which the region’s cities are unquestionably tied to national, regional and global development prospects. The Report also draws upon the most recent urban data from The World Urbanization Prospects: The 2014 Revision.